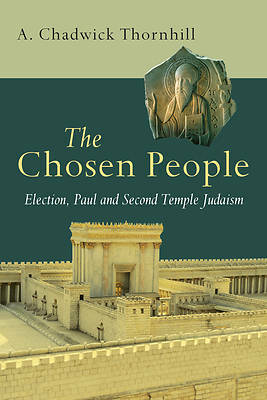 One of the central touchstones of Second Temple Judaism is election. The Jews considered themselves a people set apart for God's special purpose. So it is not surprising that this concept plays such an important role in Pauline theology. In this careful and provocative study, Chad Thornhill considers how Second Temple understandings of election influenced key Pauline texts. Thornhill seeks to establish the thought patterns of the ancient texts regarding election, with sensitivity to social, historical and literary factors. He carefully considers questions of "extent" (ethnic/national or remnant), the relationship to the individual (corporate or individual in focus), and the relationship to salvation (divine/human agency and the presence of "conditions"). Thornhill looks at the markers or conditions that defined various groups, and considers whether election was viewed by ancient authors as merited, given graciously or both. Thorough and measured, the author contends that individual election is not usually associated with a "soteriological" status but rather with the quality of the individual (or sometimes group) in view the collective entity is in view in the Jewish notion of election. While Paul is certainly able to move beyond these categories, Thornhill shows how he too follows these patterns."